is located at Niagara Square in Buffalo NY and was completed in 1931. Buffalo's tallest for 39 years, was designed by Dietel & Wade, Sullivan W. Jones and stands 378 feet tall with 26 floors. 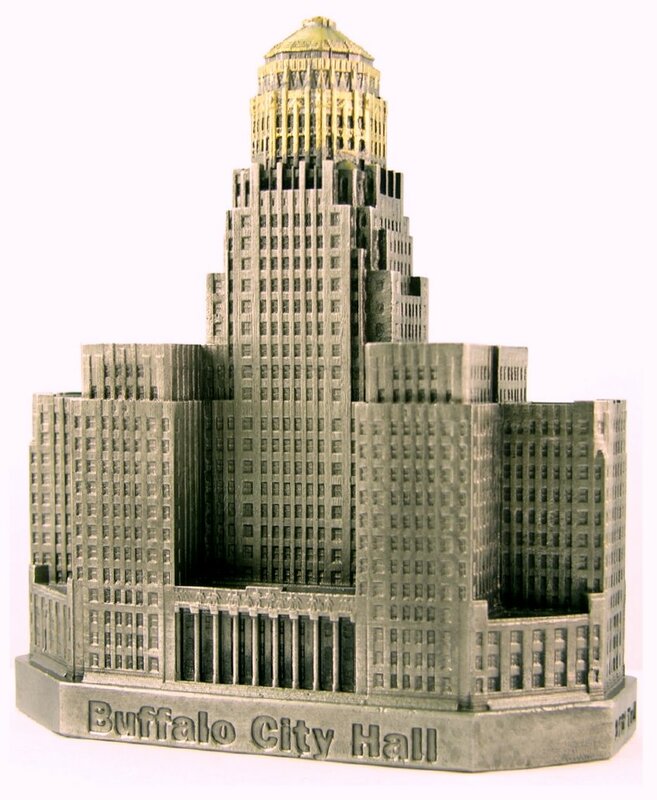 This pewter replica building stands 4-1/2 inches tall and is finished in antique pewter (black stain) with gold highlights.